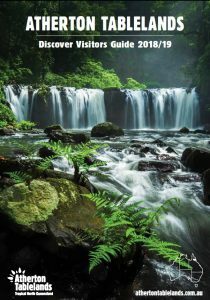 The Malanda Caravan Park is located next to the beautiful Malanda Falls Environmental Park. The falls flow all year round and its brook meanders through our rainforest providing a home to many turtles and platypus and other aquatic species. Our virgin Rainforest is alive with birdlife and animals and is one of the few places that the rare Lumholtz Tree Kangaroo calls home. The rainforest provides our whole park with natural air-conditioning. It’s beauty will astound you. It does not matter whether you choose to camp in a tent or camper trailer, park your caravan or motorhome, or stay in one of our self contained villas or units, you’ll be able to enjoy a wilderness and rainforest experience that only the Atherton Tablelands can offer. The Park provides enough features and facilities to make your stay with us comfortable yet affordable and our location is such that you are in easy driving distance of many other local attractions.